In this article, Rosalind Warner of Global Empowerment Coalition of the Central Okanagan (GECCO) surveys the past, present and future ways that the Central Okanagan region is engaging with global issues and forging new pathways toward sustainability. People often think of the Okanagan Valley as a place to ‘get away from it all’ and Kelowna is known as a ‘Four Seasons’ Playground,’ but there is more to this rapidly-changing area than sun, sand, and sports. Increasingly, residents of the Valley are looking for ways to ‘get into it all’ rather than ‘away from it all’, by building connections with global communities. The Central Okanagan is one of Canada’s fastest-growing regions, an area known for agriculture, forests and natural resources. Increasingly, that focus is being joined by a vibrant culture of technological and social innovation, driven by an active community of civil society groups, learning organizations, and social enterprises concerned with finding positive ways to tackle social and economic problems. When the BC Council for International Cooperation touched down in Fall 2016 as part of the whirlwind BC2030 tour, the region was already home to some 345 groups actively working to raise awareness and achieve progress on issues of poverty, equality, sustainability, and peace. This array of community groups has thrived due to the tireless efforts of activists like Joyce Brinkerhoff, who first became engaged with the UN Millennium Development Goals in 2003 as a Board member of Hope for the Nations, a Canadian lead agency for the UN’s Economic and Social Council. While organizing a gathering for other United Nations groups across Canada in February of 2003, the group invited the community to the event and was delighted to discover the large number of small organizations based in Kelowna which had, as she put it, “amazing impact overseas.” An annual event was born, dubbed Global Citizen Kelowna, with the goal to celebrate groups working locally and globally in pursuing social change initiatives. For close to two decades, Global Citizen Kelowna has been hosting events and activities to ‘entertain, educate, and inspire to action’, especially for young people. Annual events like the Global Marketplace, Taste of Home, Global Schoolhouse, and Speakers’ Series have positively contributed to a culture of change and empowerment by inviting all communities to share their cultural experiences, identify common problems, and discuss positive ways of moving forward in unity. Inspired by the need to engage youth, Global Citizen Kelowna initiated the SDG Challenge, in which some 8 teams of middle and high school students work with mentors and charities to prepare project proposals to solve some of the world’s biggest problems. One team wins $5000, which goes to the charity of their choice. A timely follow-up to the event in 2018 is the Central Okanagan Inquiry Expo, which has embraced the Sustainable Development Goals to guide the projects of public school students in the area. You can explore their projects, and how they draw upon the Global Goals, here. Activities to engage youth have a particularly strong impact and importance in the Central Okanagan, because the region’s rapid pace of change is a challenge to future planning. Youth bring a future-orientation that is needed to stay ahead of social and economic trends. The relevance of the Global Goals to our local environment sometimes seems remote, especially in a region blessed with such natural beauty and abundance. Nevertheless, the need to link together the global and the local became top of mind for many Kelowna residents in the spring of 2017, when the area endured severe and historically unprecedented flooding and fires. Taken by surprise, many people suddenly discovered the well of generosity and caring that is to be found among Okanagan residents. People realized the power of community action when their neighbours, friends, and total strangers showed up at their doorsteps to help with sandbagging, cold water, food and supplies for those displaced from their homes. Central Okanagan groups have identified sustainability as a key concern, reiterated when the BCCIC’s 2016 Roundtables recognized climate action, water and inequalities as priority issues for the region. Goals #6 (Clean Water and Sanitation), #13 (Climate Action) and #14 (Life Below Water) have particular relevance for the region, since the Okanagan has “the lowest per person water supply in Canada, with a growing population that is vulnerable to climate change”. Increasingly, residents are recognizing this problem and learning from world events, like the drought in Capetown and the emerging global water crisis. The universality of world problems underlines the need to learn from and understand the experiences of others, since solutions cannot only be made on the local level. Janice Larson is a policy, planning and partnerships consultant focused on strategic planning, regulatory and economic development, community and international relations. From 2014-2017, Larson was the Executive Director, Regional Innovation Initiatives, with the BC Ministry of Technology, Innovation and Citizens’ Services, based in Kelowna at UBC’s Okanagan campus, and also worked for over a decade with the BC Ministry of Energy on climate change, renewable energy and clean technology policy and programming. As a long-time advocate of sustainable development policies at local, provincial and federal levels, Larson notes the importance of the “international backdrop” to balancing energy use and development with environmental stewardship, especially the necessity of “partnerships with post-secondary institutions, communities, and the private sector that directly or indirectly support the UN SDGs”. In 2016 BCCIC launched a local Chapter, the Global Empowerment Coalition of the Central Okanagan. 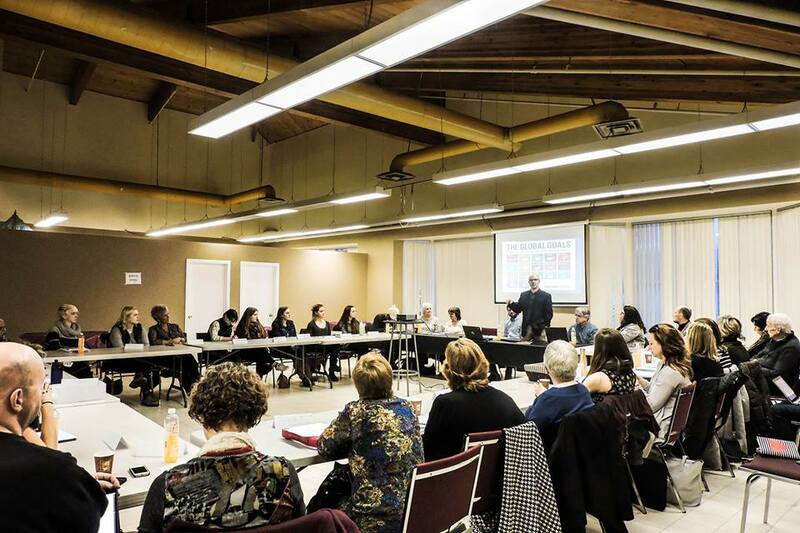 The Chapter has hosted events to raise the profile of BCCIC’s work in networking and capacity development, as well as highlighted the work being done by groups on the Global Goals. 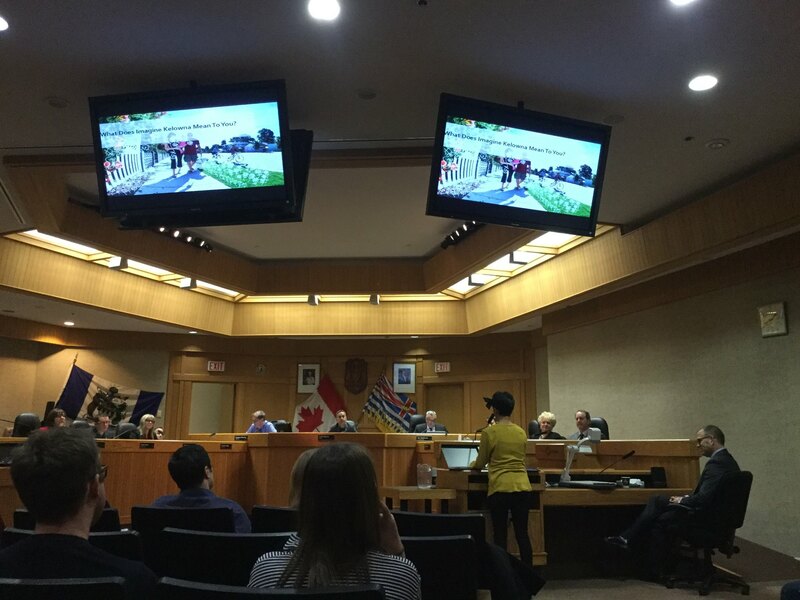 GECCO started with ‘Help Put Kelowna on the Map’ in October 2016, which was an event to gauge community opinion and feedback on future directions, as well as to raise awareness of (what ultimately became) the “Movement Map”. This Map, representing a definitive list of groups active on various dimensions of the Global Goals in BC, has continued to grow since its inception. Over the last couple of years, GECCO has participated in a widening range of activities, including the Annual Volunteer Fair, the Building Sustainable Communities conference (hosting a yoga event around the SDG Goals), and the International Development Day event at Okanagan College. In addition to hosting its own Yoga event (Self-Care for World-Care), GECCO has partnered with Global Citizen Kelowna on the Global Marketplace as part of the Mayor’s Forum on Sustainable Development. These events have garnered increasing attention as networks continue to deepen and broaden. Groups are discovering common cause in their efforts at social innovation and change. 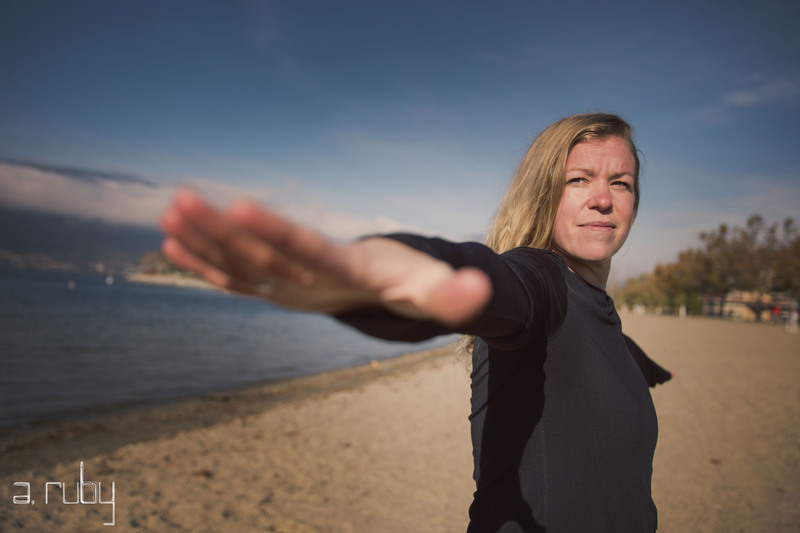 The issue of women, girls, and gender equality has found resonance in the Okanagan. Concern with the issue of missing and murdered indigenous women has been sustained, vocal and robust. The 2018 vigil in February marked the 7th annual event commemorating those missing and murdered. The event called for action and awareness. As well, Global Affairs Canada’s Feminist International Assistance Policy has focused increased education and awareness on Goal #5 (Gender Equality). Hope In Her Eyes, a fundraiser designed to link together the plights of marginalized and vulnerable women in the Okanagan and in Nepal, recently helped to highlight the parallels between the experiences of women at both local and global levels. This work is especially urgent and poignant in that it emphasizes the commonality and the bonds that join women together in their struggles. There is a growing recognition in the Okanagan that the dominant image of the Valley as a luxurious resort and retirement community overlays a more complex lived reality for indigenous people, residents, and newcomers that deserves to be recognized. Lack of affordable and quality childcare, high rents and housing prices and low vacancy rates contribute to increasing problems of homelessness and despair. The BC Centre for Disease Control recently found that the Okanagan also has one of the highest rates of illicit drug overdose deaths in the province. Finding solutions to these problems means working together in a national and global context in order to search out and apply new knowledge and innovations that offer the most promising answers. Janice Larson keeps a poster of the SDGs in her office to remind her of the importance of linking the local and the global. As she says: “Anytime you talk about the United Nations Sustainable Development Goals with the average person, there is often a bit of a glazed look and a tendency to think of those things as remote…as things for the folks in Davos or the world trade centres or the folks in Brussels.” She adds: “the remoteness of the big grand institutional objectives of the UN often don’t get meaningfully translated into what it means locally”. As explained by Joyce Brinkerhoff: “I have found that once people understand the 17 goals they are surprised at how applicable they are to everyday life.” In line with the BC2030 report’s observation that many groups use the SDGs as a “framework for collaboration and an opportunity for building greater public awareness (8-9)”, activities in this region have balanced education with action. The UN’s SDGs provide a vocabulary for diverse issues and groups to come together with their common concerns, and increasingly, residents are recognizing that caring about the ‘we’ means caring for others both at home and in distant places. The Okanagan Valley is a region of choice for retirees, and most new migrants arrive from other parts of Canada. As in other parts of the country, the Central Okanagan will need to attract more young families and working age adults (Vital Signs 2017), to meet the goals of the future. As stated in the Central Okanagan Foundation’s report Vital Signs: “One out of two people who will be living in the Central Okanagan in 2042 has not yet arrived, and if we look forward fifty years, to 2067, the ratio could be three out of four. Therefore, whatever “creating community” means, it is a long-term, intergenerational and intercultural project (12).” The makeup of the Valley is changing, and with it is coming a deeper global awareness, one in which the SDGs have a vital role to play. Kelowna City Council Chambers as City staff present the Imagine Kelowna draft vision, principles, and community directions. With its focus on social innovation and ethical and responsible development and governance, the draft Imagine Kelowna Vision illustrates the ways in which the SDGs are taking hold. In large part, this is due to the ongoing work of local groups to raise the profile of the global efforts and relate these to the local. To this end, a February 21st 2018 event organized by Global Citizen Kelowna in partnership with GECCO titled “The Time is Now! For Sustainable Development” brought together local mayors, indigenous leaders, and María Cortés Puch, Head of the National and Regional Networks’ Program for the Sustainable Development Solutions Network. Puch spoke through Skype about the meaning, history, and importance of the Global Goals. In his remarks at the event, Kelowna Mayor Colin Basran emphasized that “of the United Nations’ 17 Goals to transform our world, the City of Kelowna is directly involved in addressing more than half of them in some way, but clearly we have some work to do to start addressing more than the half that we’re currently working on.” Young people in attendance raised their voices and concerns about excess waste, access to quality education globally, and support for access to nutritious and healthy foods both at home and abroad. A common sense saying is ‘what gets measured, gets changed.’ Ultimately, the work remains to develop indicators and measures that can further motivate change by marking progress toward achieving the Sustainable Development Goals. As Janice Larson says: “local governments have a mission critical role to play in not only saying that we want to grow wisely and safely and sustainably, and protect those assets that we enjoy and value, but also to show what happens when we don’t.” By providing a set of globally-recognized indicators, the SDGs are an invaluable tool to mark areas of need and of progress. GECCO member Kusum Wijesekera is working on ways to understand how the SDGs are being achieved by cities and towns throughout BC and determining the degree to which they are being met. The project is starting off in Kelowna, analyzing City of Kelowna planning documents to identify which of the city’s targets and indicators align with the UN SDG targets. They will be filling in the gaps with provincial and national objectives that line up with the SDG targets and then measuring the municipalities’ progress. Kusum recently shared her work through the International Institute for Sustainable Development’s “Localizing the SDGs” webinar event. “The question is…whether we shall, by whatever means, succeed in reconstituting the natural world as the true terrain of politics, rehabilitating the personal experience of human beings as the initial measure of things, placing morality above politics and responsibility above our desires, in making human community meaningful, and in returning content to human speech (Politics and Conscience 1986)”. Dr. Rosalind Warner teaches Political Science at Okanagan College in Kelowna, BC, and sits on the Steering Committee of the Okanagan Chapter of the BC Council for International Cooperation, the Global Empowerment Coalition of the Central Okanagan. This work represents only her own views, not those of Okanagan College.